Beyond-Bedding offers luxurious designer bedding at prices you can afford. All of our collections are carefully chosen so that we can offer our customers gorgeous unique, high-quality bedding. We guarantee superior service and customer satisfaction. 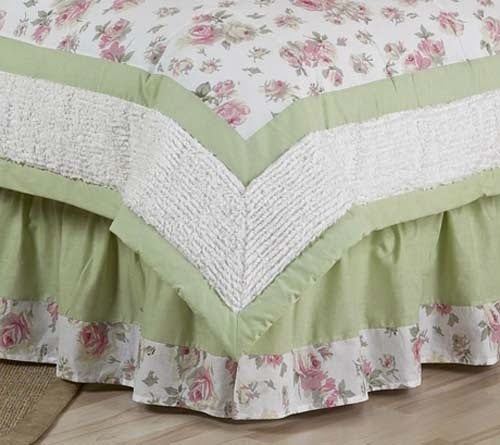 We offer an extensive selection of bedding sets in a variety of designs and styles fit for all members of the family! Explore the below favorites to find out why they are our customer's faves! We were very fortunate to be able to review, Riley's Roses Chenille Floral Children's Bedding 4 pc Twin Set from Beyond Bedding. As most of you know I have a 8 year old who most of the time is a regular standard issue little girl. Then there are the times when I wonder when my 8 year old morphed into a 15 year old? She’ll all of a sudden go from kid to teen with what she wants and how she acts and I find it stunning and a little scary! God help us when she actually has teen at the end of her age! She is no longer our little princess she sees herself as more of a queen now.No more little kids bedding, no more baby stuff was her edict and I was blown away with that. Where the heck she comes up with stuff is a mystery, like Area 51 and the Bermuda Triangle. With a bed that big they really don’t have Disney Princess bedding or kid bedding in general. We needed to get her some bedding for her new bed, we received an entire bed in a bag from Beyond Bedding. And the Queen finally has proper bedding. Of course she still wants her stuffed little friends for her bed (she is not that grown up :). This is so nice, it’s so plush is what she told us when we made her bed. What? Where in the heck did she come up with that one? She was right though, it is plush, and so soft and easy to take care of. The bedding is quality and well made. With the bedding all you have to do is toss it in the washer to clean it, no big hassles with cleaning it. It looks delicate but it’s built to take punishment. 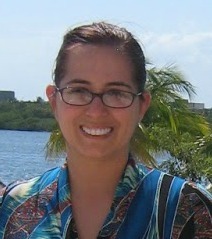 And the color! They look great, the pretty flowers looked wonderful, very bright an cheery. We’re jealous of her bedding! With the bed in a bag you receive a twin comforter, twin sham, bed skirt, and window valance. Just add sheets and presto! You’re room looks really polished and complete. I’m impressed, so much so we might actually wind up getting the same comforter for my niece as a gift. Beyond bedding also offers made to order bedding sets and custom teen & toddler bedding designs. With all the choices they have at Beyond Bedding I’m sure I’ll probably pick up more than one. I love it, and I am sure you will too. The generous folks at Beyond Bedding are giving 10 of Susan’s Disney Family readers (yes you read that right there will be ten winners!) a chance to win a bedding set from Beyond Bedding! 10 bedding sets from children, and teen bedding set lines are up for grabs. Contest will run July 21, 2014 through August 4, 2014. All you have to do is enter on the Rafflecopter form below. You can purchase this great set at Beyond Bedding. 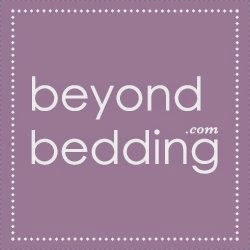 Beyond Bedding offers $7.95 flat rate shipping to the U.S.
10 bedding sets from children, and teen bedding set lines are up for grabs. I would love to get the Gray and White Trellis 3pc Full / Queen Bedding Set by Sweet Jojo Designs! 4pc Twin Set!!!! How adorable! I'm getting ready to re-do my daughters room and this would really add a nice touch. I'd probably choose the Pink and Green Girls Jungle Kids Bedding! I would choose the Green Camo set. I love the matching rug too. I had purchased the Dinosaur childrens bedding about 3 years ago. I still use it and after many, many washings it still looks great. I would choose the All Star Sports Childrens Bedding 4 pc Twin Set. I would like to get the Treasure Cove Pirate Childrens Bedding - 4 pc Twin Set. 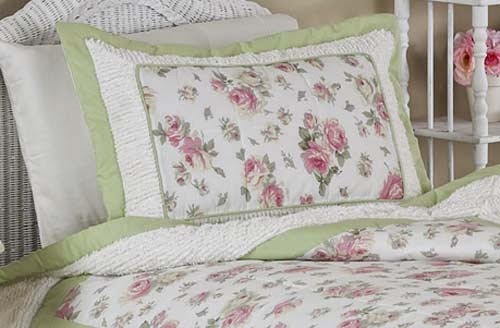 I love the Riley's Rose's chenille floral. What a great giveaway. Thanks!